Toyota is one of the best-selling automotive bands in the world and currently holds a huge 14+% of US domestic market share. It wasn’t that long ago that the notion of a Japanese best seller was something of an alien — on multiple levels — notion. 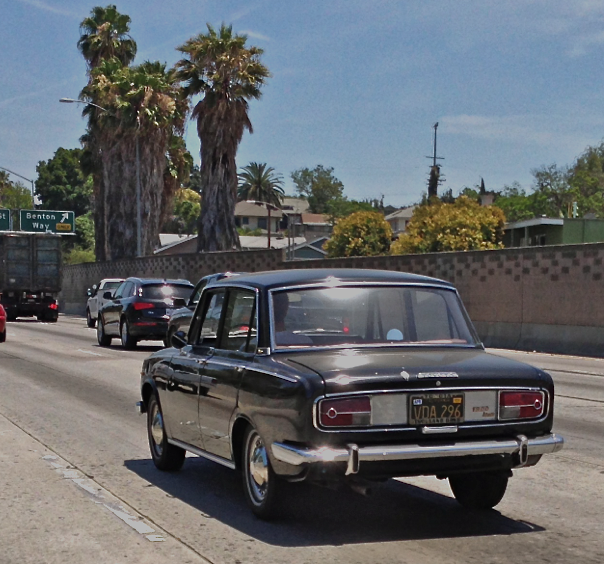 Toyota’s earliest inroads were made in Southern California so it was appropriate that our recent sighting of a 1967 Corona sedan took place on the 10 Freeway near the Soto Street exit in East L.A. 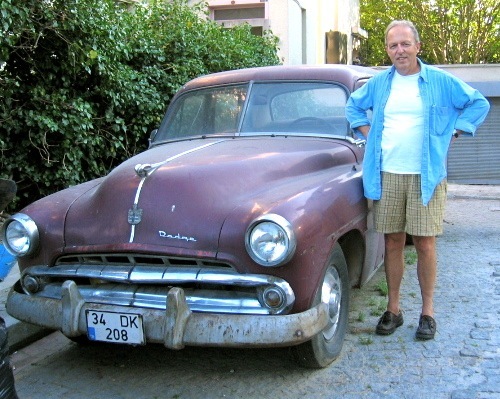 This little car was all right angles, in literal sharp contrast to VW’s standard-bearing Beetle but got the job done with 90 hp on tap. 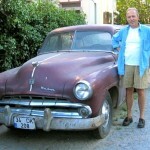 Japanese cars? They’ll never catch on! This one seems flawless and formal in black but we’re delighted it’s used in the real world and not just rolled out for cars shows. 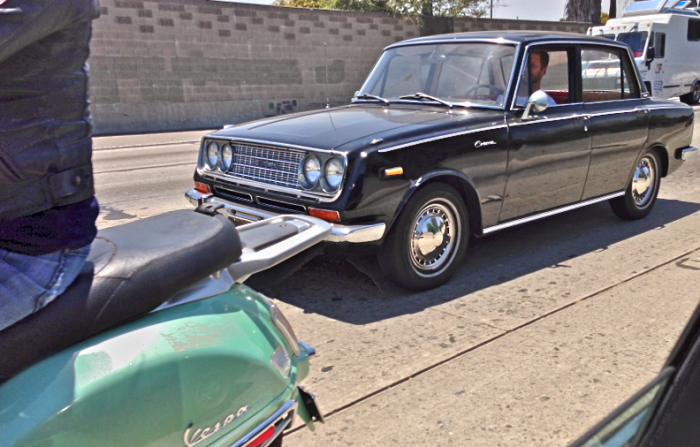 Those original California black plates would seem to indicate that this little number is ultra-original. Much, much, much farther afield is this Toyota Land Cruiser FJ45 of similar vintage, shot by Feral Cars Field Scout Tim Merlis shot from — if you believe him — atop a camel in Wadi Rum, Jordan. 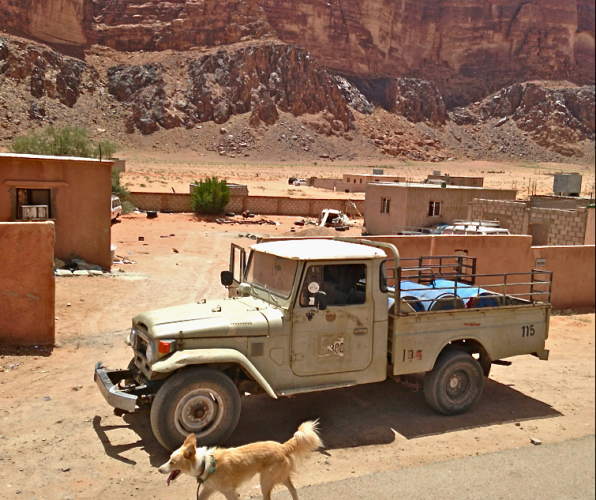 Tim notes that England’s Lawrence of Arabia may have liberated these realms from the Ottoman Empire but nary a Land Rover is seen these days. 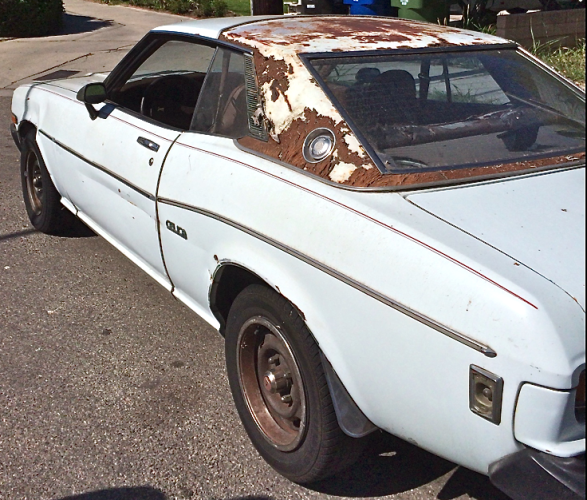 Another Feral Cars Field Scout, Owen Husney, sent us this shot of a sad, ’73 Celica. The cheesy landau style vinyl room betrayed the car by keeping moisture locked in and the result is this “corona” of roof rust. This kind of neglect is not the benign kind. Fun in the Sunchaster or highway horror show? Lastly, we offer a 1980 Celica-based Toyota Sunchaser, shot by Feral Cars Field Scout Rip Masters. These were Sawzall conversions, authorized by Toyota, that turned Celica coupes into targa-topped quasi-convertibles. It’s estimated that something like 2,000 cars got the pop top treatment but survivors are few and far between and it’s not clear this one is going to make it. We love this TV spot for Toyota Corona where it drag races Art Arfon’s jet-powered Green Monster which held the world land speed record at 576 mph. This entry was posted in Toyota, Toyota Celica, Toyota Corona, Toyota Land Cruiser, Toyota Sunchaser, Uncategorized on 06/24/2014 by feralcars.